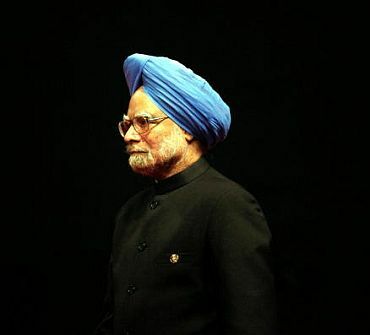 Prime Minister Manmohan Singh left Phnom Penh for home on Tuesday after attending the ASEAN and East Asia Summits besides holding talks with his Japanese and Chinese counterparts and interacting with United States President Barack Obama. Singh came face-to-face with Obama on three occasions in for the first time after he was re-elected President in the November 6 polls in the US and told him,"Congratulations on your re-election." Obama, whose new four-year term begins in January, told the prime minister that India was a 'big part' of his plans. During his meeting with Singh on the sidelines of the summit, Japanese Prime Minister Yoshihiko Noda announced that Japan will give a fresh loan of about $2.26 billion for the second phase of Dedicated Freight Corridor and an infrastructure project in South India. The two leaders were initially to meet on November 16 in Tokyo when Singh was to travel there for a three-day visit beginning November 15. However, the visit was cancelled a day ahead in view of sudden political developments in Japan with Noda deciding to announce elections. Singh, who also met his Chinese counterpart Wen Jiabao on Monday, invited Chinese investments in the infrastructure sector while conveying India's concerns over trade imbalance. Wen said India's concerns could be addressed 'gradually'.